Check Out the Technology Systems in the 2017 Acura MDX! We know that you know all about the new 2017 Acura MDX’s reliable safety devices, which are designed to keep you and your passengers as safe as possible on the open road. We also are guessing that you have heard about the massive engine power available in this beast of a machine. But did you know that the new 2017 Acura MDX also boasts some of the very best technological devices around? Read on for the thrilling details! First of all, the Acura MDX is embedded with an astonishing new audio system that is able to pound out the bass and give you the crispest, cleanest sound around, amplifying your enjoyment and augmenting the experience of listening to all of your favorite tracks next time you’re on the road. With the Acura MDX’s USB ports, you and your passengers will be able to ensure that all of your devices stay charged up and ready to go throughout your drive, keeping you in close contact with friends and family no matter where you find yourself on the open road. The MDX’s Bluetooth capabilities make it possible for you to stream more audio options than ever while also strengthening your connectivity even more. What’s more, the MDX gives you an array of streaming internet options, including HD Radio, thereby giving you a wide range of music, talk radio, sports, news, and much more, keeping you entertained throughout the drive. Last but certainly not least, the Acura MDX offers up a SiriusXM Satellite Radio system with Advanced Audio Features, allowing you to identify location information, generate route maps, and find out where the nearest gas stations may be. Explore the 2017 Acura MDX at Rallye Acura! 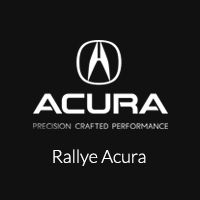 If you’re interested in learning more about this new car for yourself, we urge you to pay us a visit at Rallye Acura at your earliest convenience. Find us at 1750 Northern Blvd in Roslyn, or give us a quick phone call at 516-508-9147. On the other hand, you can always get in touch using this simple online form as well. Explore the best in technology in the 2017 Acura MDX today!